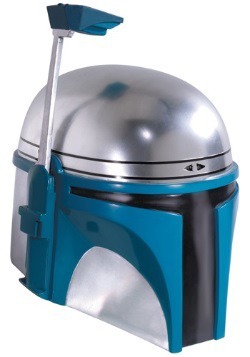 Boba time? We're guessing you know a kid who wouldn't mind hopping in a spaceship and blasting off to become an intergalactic bounty hunter. 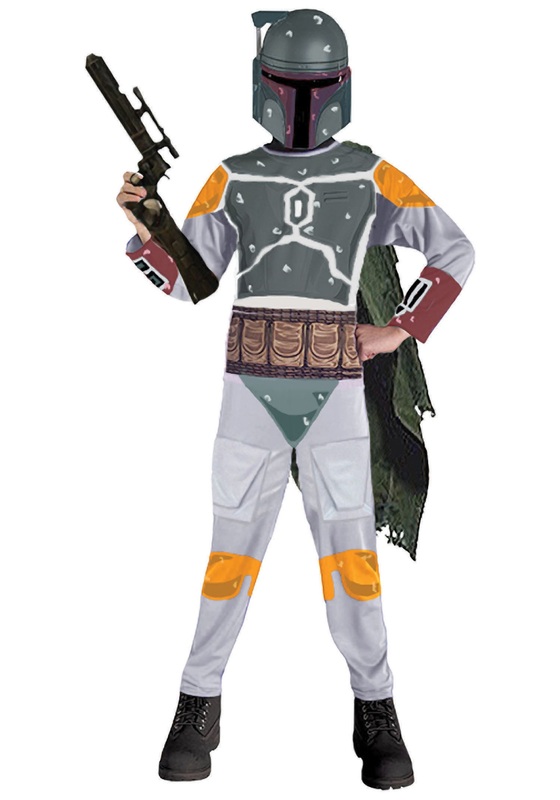 Of course, that ship would be the Slave I, and the guy who pilots it is known as Boba Fett. He's all about cashing in on that particularly lucrative bounty set on hero Han Solo, and will do what it takes to get paid! 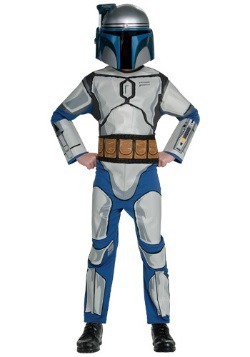 This costume is Star Wars officially licensed from Rubies Costume Company. 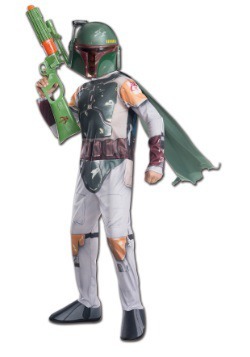 It comes with a fully printed, 100 percent polyester jumpsuit, 1/2 PVC mask, and a cape. 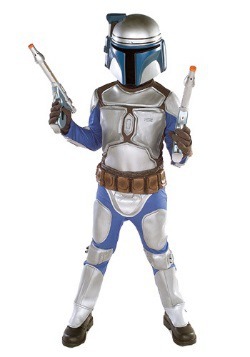 The blaster weapon we have pictured is sold separately. 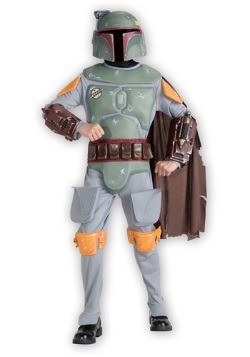 Suit him or her up for Boba Fett time in this authentic costume, and we're sure they'll be a top-notch bounty hunter!